Having trouble deciding which route to go? Hopefully this blog will help. I’ve had both of the previous models of the Nutribullet and a Ninja for a few days. I returned it because of the consistency. There is nothing wrong with blending, its all a personal preference. I have a Vitamix for days I don’t feel like juicing and I love it. Juicing and blending both have wonderful benefits. A blender is a great way to get more fiber into your diet and may keep you fuller than juices would at first. But again it all comes down to personal preference. I prefer to juice.Juicing gives me an undeniable surge of energy and makes me feel amazing. One common complaint or misconception I should say is juice has no fiber. Juicing does not remove all of the fiber. 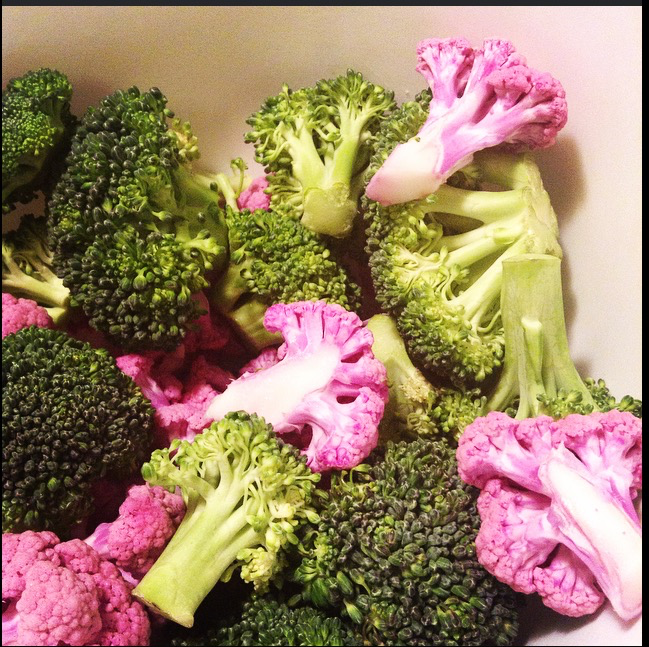 Plants and veggies have two forms of fiber soluble and insoluble. When you juice it removes the insoluble fiber (the tough fiber and skin) which your body can’t break down and is passed anyways. 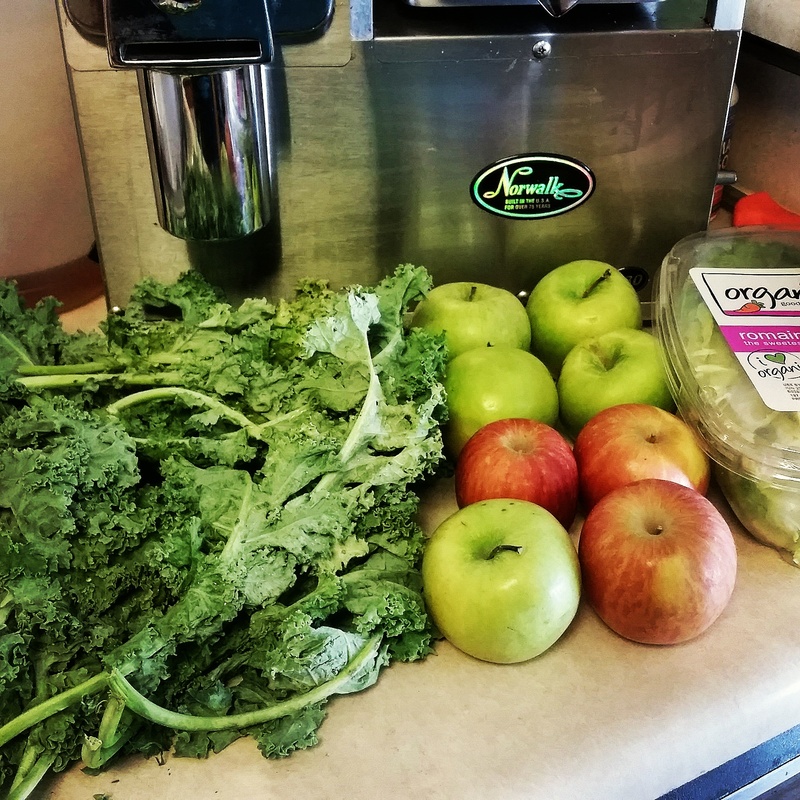 Blenders can be a more cost efficient way to start adding greens into your diet, but you can get 3x more veggies into one glass of juice than you can one smoothie. I have two juicers a Breville 5 Speed Fountain and a Norwalk 280 . The Breville is best when I am making quick batches for the day. The Norwalk 280 is pricier but worth it for better tasting juice and you can store up to 5 days. Another question asked a lot is where do you get protein while juicing,keep in mind many veggies have protein and its not removed during the juicing process. You can always add in chia seeds and hemp hearts though if you feel you need a protein boost. Will you get the same results with making smoothies as you would with juicing? There’s no black and white answer for that, every loses weight differently. You’ll get the most results from whatever you will stick to the best. As long as you are consistent the results will come. Simply, the one that you will use. I prefer my Norwalk, and when I began I used Dash and Breville. For beginners I recommend the Breville line, they start at $89 and tend to have something that will fit just about everyone’s budget. Look at reviews on Youtube and Amazon, don’t just go by what I recommend, do your research and make an informed decision. For blenders, I love my Vitamix, the Nutribullet is another great starter machine and can last you quite some time. Again though, do your research before buying. Juicer of The Week- Alegna! Soo I started the 21 day program in April but had to go out of the country and could not finish it , so this month i gave it a try and even though i did not exercise as recommended and I was soo hungry for the first two weeks i did not give up!! The last week i started feeling better and with much more energy , I lost almost 20 pounds and let me tell you it feels AWESOMe!! Today i started the gym and ready to loose the other 20 and well I can say that juicing is Now Part of my healthy life style! Soo to all you ladiess dont give up this is an awesome challenge results are real! Are you ready to be the next juicer of the week?!?!?!? 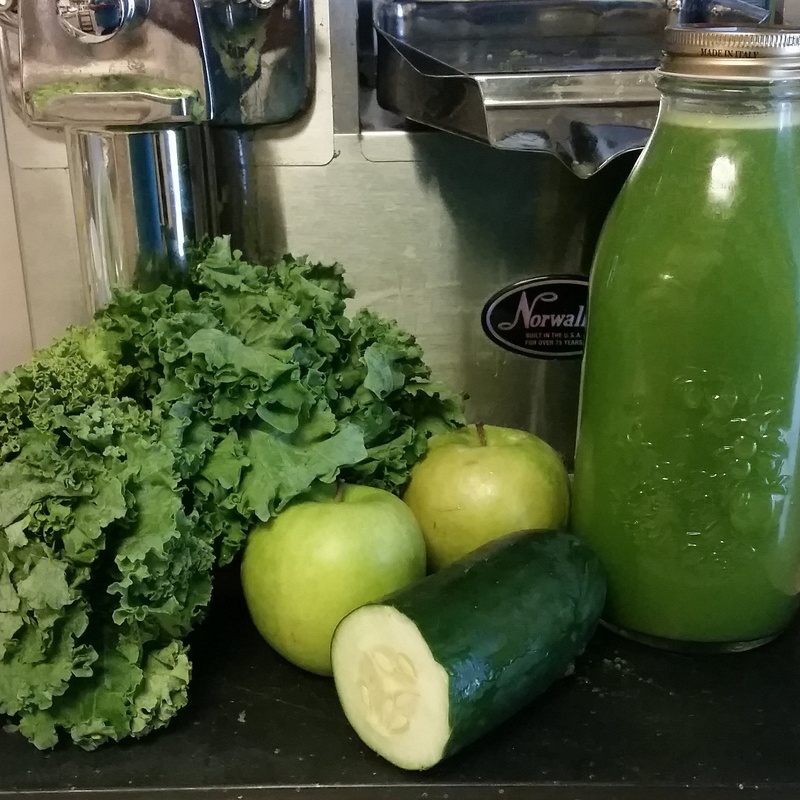 A 21 day juicing challenge. 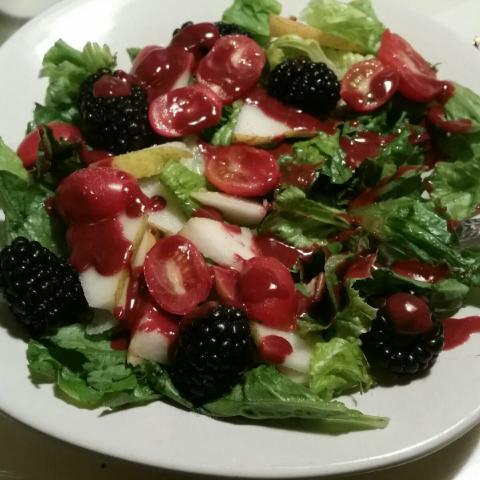 One week is juices and salads/vegetarian meals. The remaining two weeks are all juice. Yes, the majority of the plan will be based on juices, so a least a basic model will be needed. It’s not recommended. Blendtec, Vitamix, Ninja, and Nutribullets are all blenders, there is a different program for that. This varies for everyone, if you stick with the plan though, average loss is 15-25 lbs. There is a substitute list provided. Where do I get the jars? Most grocery stores carry mason jars. The recipes provided within the plan are meant to make 48-64 ounces depending on which week. If you have a high speed juicer, its recommeded adding extra veggies to your list to get the needed amount of juice. July 6th-27th, weigh ins will be each Saturday, due by noon to compete for the prize. What if I have a previous version? 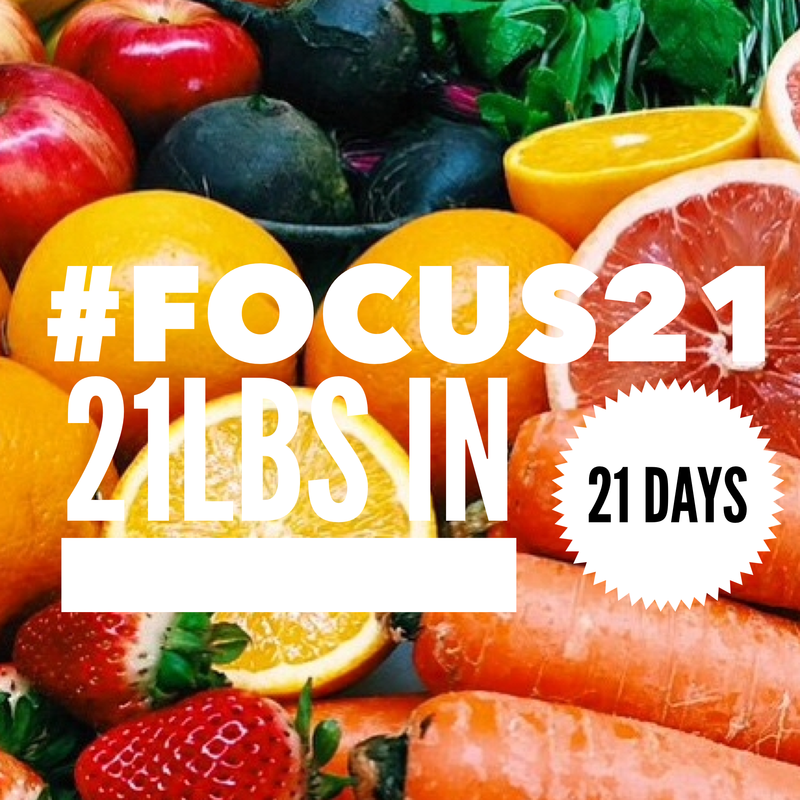 Only those with the Focus#21 version will be eligible for the prize. The 21 day anniversary plan will be hosted through the blog, so make sure you are signed up to receive each day’s reminder. Each day a new blog will be posted to give you encouragement or a task of the day. For additional support you can also join the Facebook group. For those competing for the prize you must send your before picture by July 5th, midnight. Winner of $250 cash prize is determined by percentage lost. Leave any questions you have below here. Sign up opens at 7 P.M. central on June 27th. So . 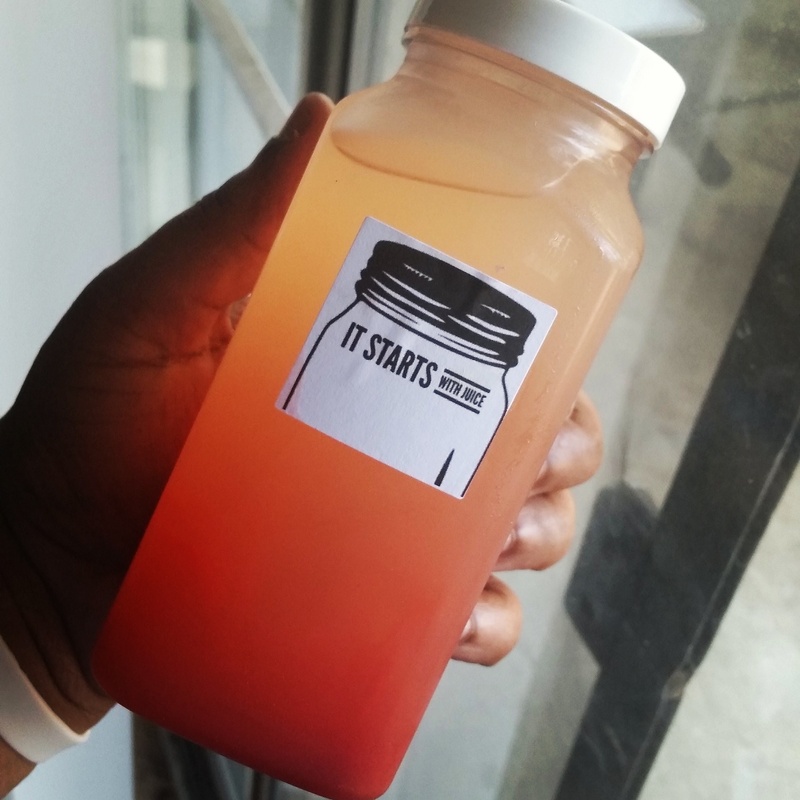 . . perhaps you’ve seen the documentary or you know someone who’s completed a juice cleanse and lost a large amount of weight and now you’re ready to give it a try. 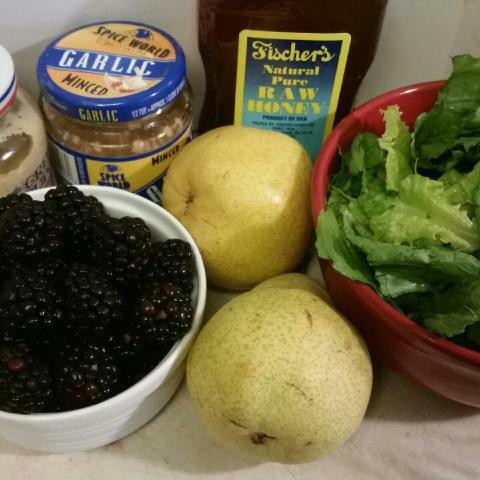 What exactly is a juice fast and how do you get started? Juice fasting is a period of time where you consume of juice extracted (juiced) from fresh fruits and vegetables. During this time you would only have the fresh juice, water, coconut water, and herbal tea. No other food during the fasting period. There are also modified version of the fast which include half day fasting when you would juice the majority of the day until dinner and then have a healthy meal. Both ways are effective, but the most weight is lost with strictly juices. Why juice instead of eating the fruits and vegetables? 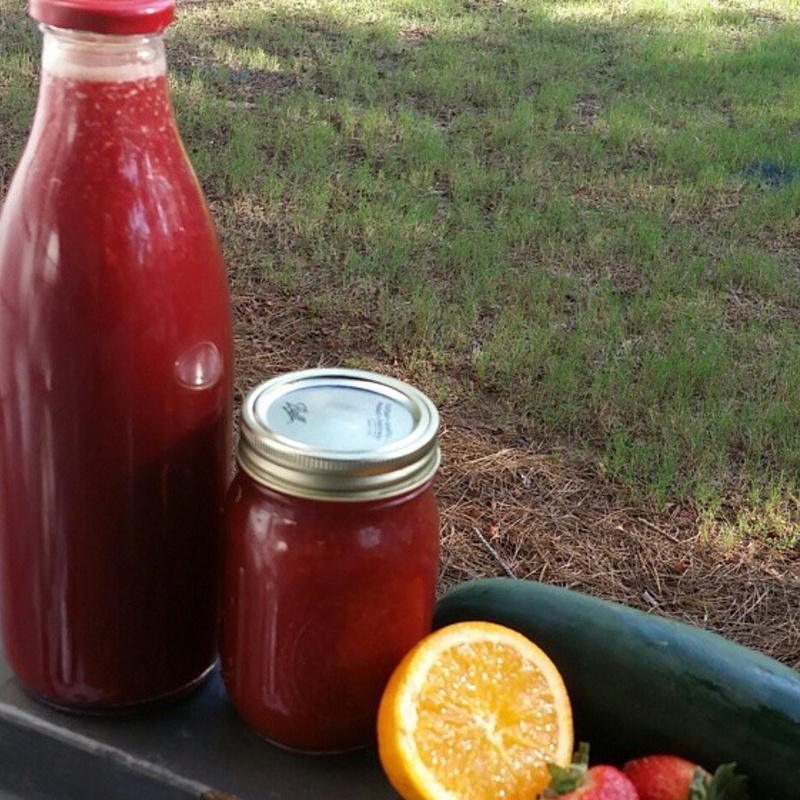 Simply, you can get many more servings of fruits and veggies into one single glass. A single juice can contain up to 5 lbs of produce. It would be nearly impossible to try to eat that in one day, much less one sitting. Juicing also removes fiber so your body’s digestive system can take a break and the nutrition is immediately available for your body to use. First you need to decide how long you want to fast. The 60 always looks good on paper especially if you have watched Fat, Sick, and Nearly Dead, both of them lost 80+ lbs in just 60 days. When you have a large amount of weight to lose that seems to be the perfect thing to do. Juice 60 days, lose 60-80 lbs and boom, done. Unfortunately it is not that easy. 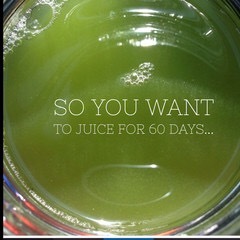 First, juicing for 60 days seems simple but it is not. That’s two months of giving up comfort foods, family dinners, birthdays, celebrations etc. It takes a great amount of discipline to embark on that journey. Granted if you are doing it for more than just weight loss, it is more than worth it. What do I need to juice? 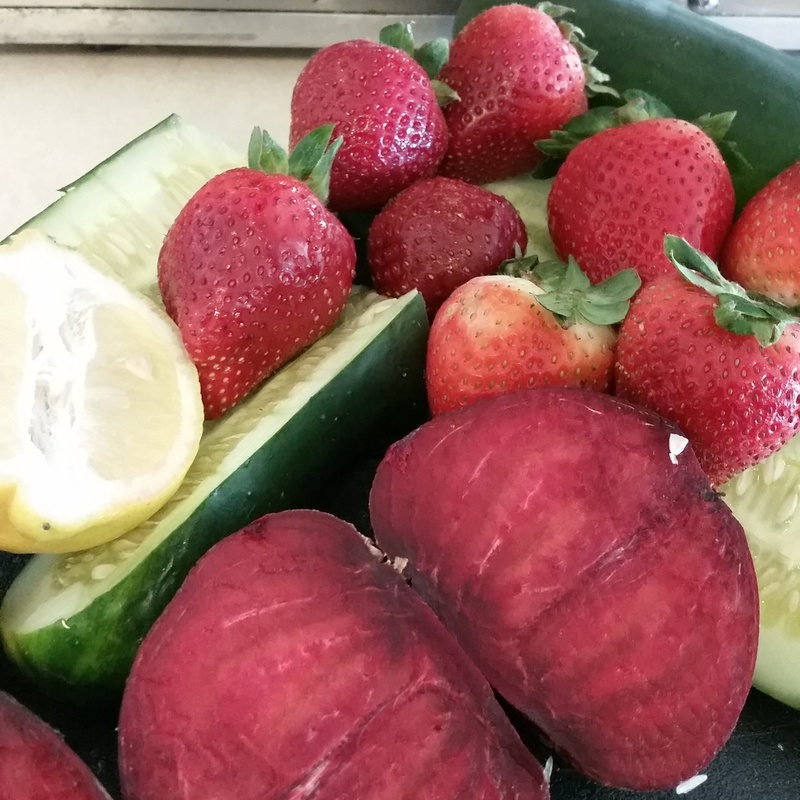 A juicer and produce :). Very simple, check back a few blogs for my tips on deciding on a juicer. 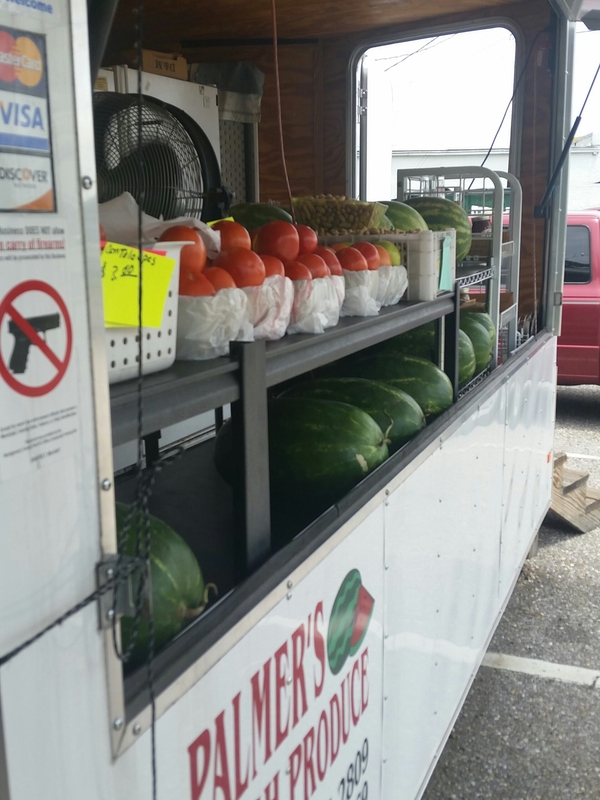 On produce there is a debate on whether organic is best. Use the list below to decide where you should splurge on organic. With all produce though wash it in a vinegar bath to preserve it and cleanse it. This is the format I use for my clients,and handles two main issues with losing weight on a fast, and maintaining it. Many people decide to have a sort of last hurrah before starting the fast, which is actually the worst thing you can do and will effectively make you feel like complete crap the first week. This schedule incorporates transitioning in and back to a healthy lifestyle. Focus on eating mainly vegetable, fruits, and adding juice in at least once a day. This allows your body to start the detox process and prepare you for the juicing days. Its also a good time to get familiar with your juicer and find recipes that you like and can use in your journey. Juice only, now I recommend sticking strictly to the juice if you can,but that can be hard. Adjust this time to fit your guidelines, the closest to a strict juice fast is to add in fruits and vegetables as snacks. This adds fiber and still floods your body with tons of nutrition. During this phase you should also try to drink half your body weight in ounces. For example if you weigh 200 lbs, you should aim to have at least 100 ounces of water a day. Return to the first 10 days to transition back to a full diet. Exercise will be different for everyone, I recommend beginning to walk at least if you don’t have a current regimen and progress from there. Hope that helps!!! Let me know if you have any questions, just comment below. If you are interested in a plan check the Shop tab. Happy Juicing!!!! 1/4- 1/2 Cup Olive Oil depending on thickness desired. 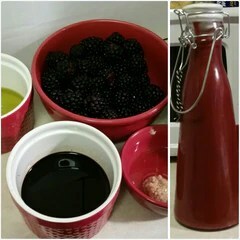 You can make it in either a good processor or blender.Add blackberries, vinegar, honey, garlic, mustard and a pinch of salt and pepper. Blend until smooth, scraping down the sides. Add a little olive oil at a time and blend until fully blended. Store in a glass mason jar, keep in fridge 3-4 days.